The Savoir Vivre Group is proud to present its first joint Internations event. 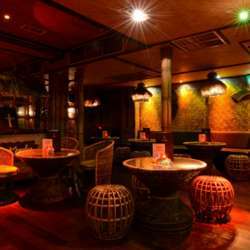 We will be hosting our February After-Work Drinks Social at the decorative and colourful Hawaiian-themed Protected content where we have a private club room exclusively for Internations members. As usual, there will be free hot food for guests at around 8.00pm. There will be a 'Club Tropicana' Happy Hour up until 8.00pm, meaning a big discount on some popular cocktail drinks on the night. Regular drinks such as soda, fruit juice, beers and wines are also available. Drinks will be served from the private bar in the dedicated private club room reserved for Internations members.